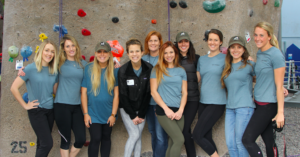 Thirty kids and twenty-five Navy SEALs descended on Vertical Hold Rock Climbing Gym earlier this month for Climb for Courage, San Diego. Although they varied in age and life experience, they all shared one commonality. The refusal to give up. Ever. For the kids, their battle comes in the form of pediatric cancer. Whether a patient or sibling, they’ve been forced to face adversity at a young age. And for their Navy SEAL mentors, facing adversity is part of the job. 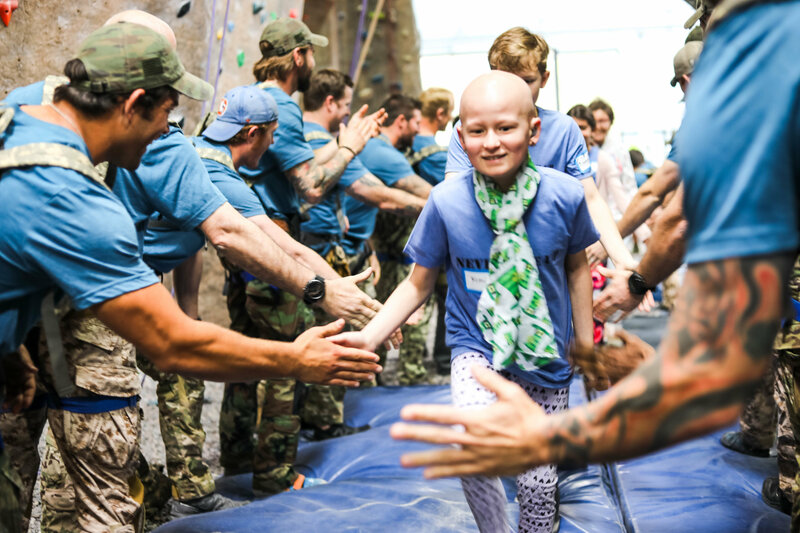 For precisely this reason, One Summit united these like-minded warriors at Climb for Courage, San Diego. Throughout the day, all participants were encouraged to set goals, work as a team and overcome challenges, whether it was their physical limitations, fear of heights or lack of self-belief. And that is exactly what they did. They supported one another. They persevered. They overcame. They were resilient. They will continue to support one another, persevere and overcome, because Climb for Courage, San Diego is only the beginning. 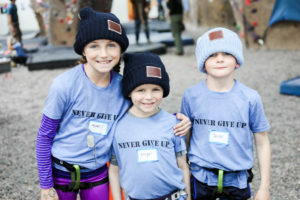 As a part of One Summit’s ongoing mentorship program and community events such as Climb Higher – where past Climb for Courage participants are given the opportunity to reconnect and reinforce their climbing skills – these mentors and mentees will continue to inspire each other to “Never Give Up.” Ever. 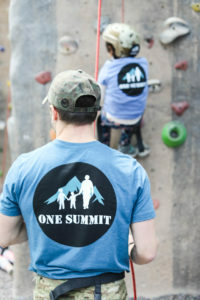 One Summit would like to thank its partners at Triad Advisors, Axos Bank, Vertical Hold Rock Climbing Gym and Black Diamond, and its volunteer Team Leaders, for making Climb for Courage, San Diego, and the inspiring stories and long-lasting relationships that resulted from the program, possible. Interested in participating in an upcoming Climb for Courage? Apply on our website or email dianne@onesummit.org to be considered for our upcoming programs in Boston and New York City.